We know that the mental health of students is a growing concern. With around 30% of students estimated to face some form of psychological distress whilst at university, it is really important that young people can access support at university. The rising prevalence of mental health difficulties among students has coincided with increasing problems arranging referrals to suitable NHS services within a time-frame that supports students during the academic year. We believe in the power of peer support delivered by and for students. Students are often the first source of support for their peers and many students want to know how to provide appropriate support to others. We believe that this type of support can be a complementary part of a stepped care and early intervention approach to help students experiencing mild difficulties to access support as early as possible. We specialise in providing student volunteers with the skills and support necessary to deliver suitable and effective peer support. We do so in a framework that ensures that students understand the boundaries of their projects. Additionally, if you would rather set up and manage your own peer support programme, we are pleased to be able to offer a ‘Train the Trainer’ package of training and ongoing support. Sports staff are ideally placed to be role models to sports teams in their attitudes towards mental health. 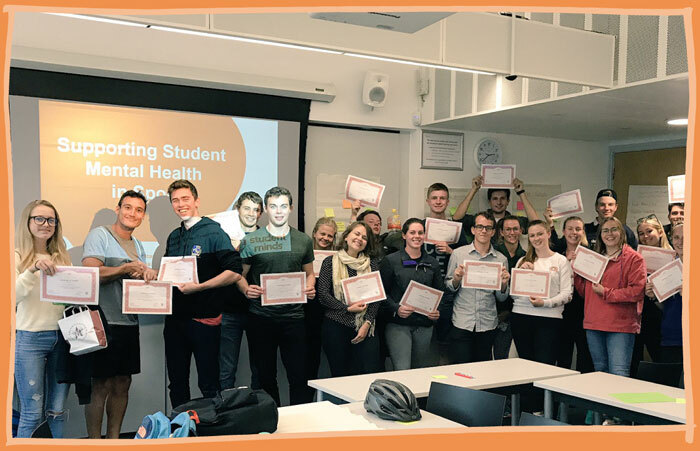 Our two day Mental Health in Sport programme, developed in collaboration with BUCS, equips staff involved in HE sport with the knowledge, confidence and skills to make sport at their university inclusive of individuals experiencing mental health difficulties. 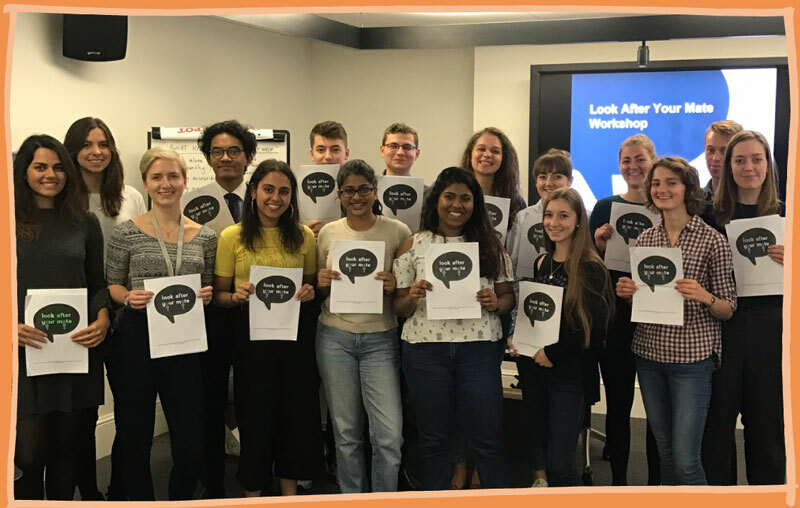 Based on the Look After Your Mate guide for friends, this one day training programme equips staff with the knowledge, confidence and skills to run our our Look After Your Mate workshop to empower students to support friends experiencing mental health difficulties.